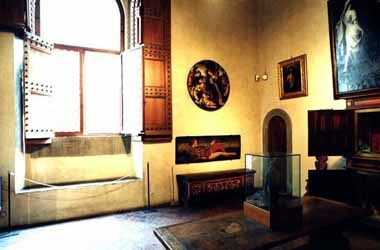 The museum's rooms and the way the works of art are arranged create an atmosphere full of charm and evoking the sense of a Florentine Renaissance daily life. 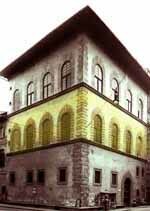 The main hall was called "madornale" (which more or less means big and wide and enhances the value of this room). 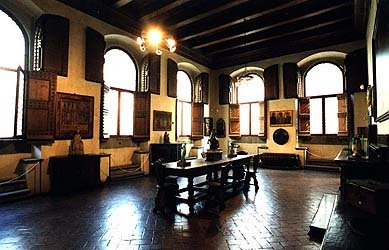 This was the family's dining room and, as was typical of Florentine mansions until the early XVI century, does not have many pieces of furniture and art works. Horne's intervention is evident, as revealed in particular by glasses and shutters on the windows. The wife's room is smaller than the husband's room, it gives onto the outside and is connected to the husband's chamber through a corridor where the restroom used to be.